Well I'm not going to run a Oil Metering Pump. I've got my answer. Thanks Guys. 1/4 quart per tank. my s5 jspec has at least 100K on it by now and is doing fine. 8 oz per tank? With or without OMP? With OMP, that's too much. Without OMP, you could run into situations where you don't have enough lube, but those situations are few and far in between. 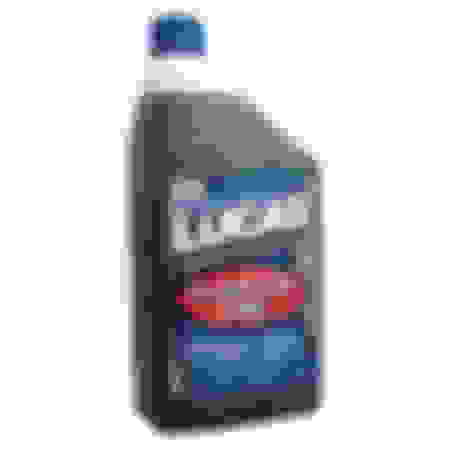 "Why does my crankcase oil level rise when I premix, and how often should I change my oil?????!!!!" these are very good questions. I have wondered about this ever since I started premix. Do you or anyone else have the answer for these questions? well, I run 1/2 quart of 2 stroke per every 3/4 of a tank (roughly 12.5 gallons), and the engine I took apart from a blown coolant seal was absolutely mint: no scoring on the rotor housings, no real carbon buildup on the rotor faces, and after 40,000 miles on that engine, I had to get the ten thousandths micrometer out to measure apex seal wear, which was only .0002 less than what they measured new. Therefore, I feel that this is an absolutely acceptable ratio of premix. This is the same equation I'm thinking of using on my 1990 vert N/A still have the omp. However which brands would you recommend? And how abusive are you with your engine? Since I started this thread, I have been running Walmart "Super Tech" TCW-3 because it was the cheapest gallon of 2-stroke oil I could find. That's more than 7 years with no issues. I don't think you need to run 100:1 ratio if you're keeping the OMP, and especially if you run a catalytic converter as it will quickly become ruined. I'd start at 200:1 and go up or down from there if you need to. 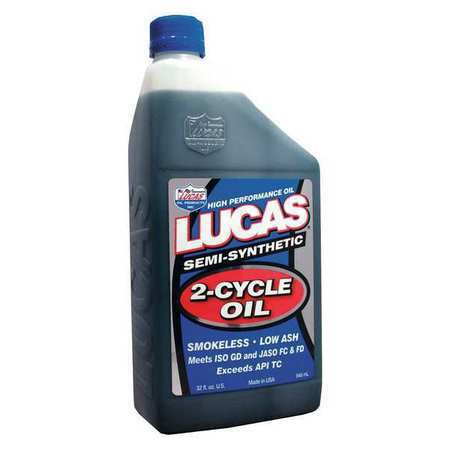 I use Lucas Semi-Synthetic 2 stroke. 10 bucks a quart at oreillys. i'd rather spend $12 a gallon, like i have for years. money saved pays for a rebuild after all. Meh, i dont drive my car much, maybe 200 miles a month at the most. So what the hey. well, over the course of the last engine that went about 80k miles, it used roughly 4,706 ounces of 2 stroke oil. for me it just made more sense to not spend more than i had to since that is roughly 37 gallons of oil, which came out to be in the neighborhood of about $450. at $10 a quart for the higher end oils it would come out to be about $1600 after tax. small difference, i know. though i drive my car much less now i still use the cheaper stuff, because it works just fine. Last edited by RotaryEvolution; 02-03-17 at 09:04 PM. I ran over to walart and found what you recommended, doing 1/2 oz per gal at the moment, engine seems to run no different which im guessing its good? and no cat, straight pipe w/ racing beat duals. I hope you're not doing that with zero OMP, because that would put you in the region of 256:1. "Seems to run no different" is exactly what would be happening if your c̶o̶r̶n̶e̶r̶̶ apex seals were carving out your housings. Last edited by PaladiNSX; 02-04-17 at 10:19 AM. "Seems to run no different" is exactly what would be happening if your corner seals were carving out your housings. I shouldn't be allowed to post. ​​​​​​I still have the OMP tonight was the second night I ran it with premix at the same ratio I did notice the idling was smoother. I'm tempted to go 0.25 more to make it 0.75/gal what do you think? ​​​​​​​How would the apex seals carve the housings after mixing? Shouldn't it be opposite? And thanks for letting me know that BTW. Last edited by FC3S_Bat; 02-04-17 at 09:01 PM. he was just exaggerating the truth, some people actually only run .5oz per gallon with no OMP and have no wear issues, i run 1oz with no OMP because it's just more peace of mind. .5oz with the OMP is probably best. you don't need high octane for an n/a, plus think of this, at 128:1 ratio your octane would only be lowered by a maximum of .8% X 87= .7 tenths of an octane point making it more or less 86.3 octane if running 1 oz per gallon, 86.7 at .5 oz/gal. not enough to worry about, and virtually what the cars dealt with while injecting the crankcase oil for lubrication. Last edited by RotaryEvolution; 02-05-17 at 11:01 AM. Can I swap front hubs? Quick Reply: Premix!!! Read this please!